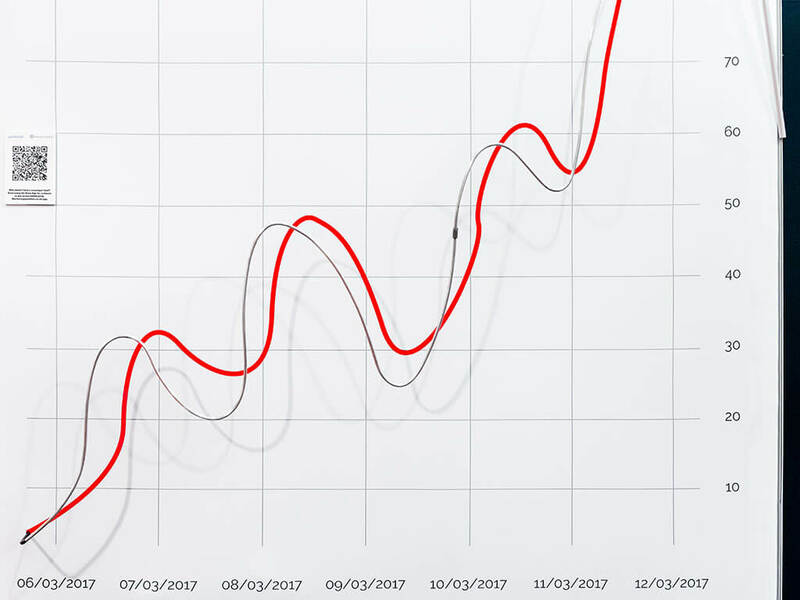 Known for its opinion polls around big political events, YouGov are an international internet based market research company. They wanted to raise awareness of the services they offer other than polling data, developed from the research they gather from the millions of individuals in their global community. This includes their customer profiling solution for businesses looking to understand more about their brand’s target market. They also wanted to generate new leads for these research services. They required two leads to convert to customers to pay for their attendance at the event. A game was developed which combined a digital screen-based game with physical actions recorded by RFID technology. 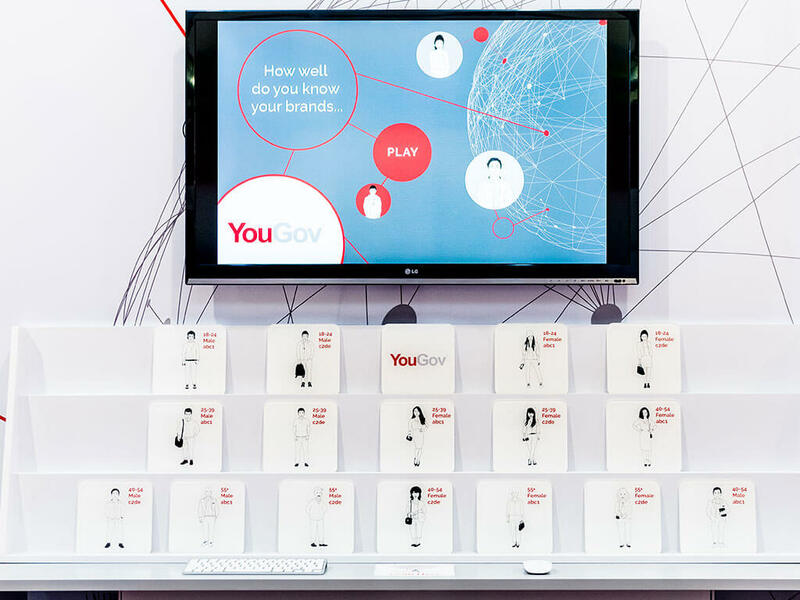 The game’s aim was to help educate the show’s audience about YouGov’s customer profile solution. It tested players’ knowledge of big brand customer demographics, asking them to scan the tile they thought best described the target market of each brand displayed on the screen. Players were timed on how long it took them to scan the correct answers to each brand, creating a fun competitive element to the game. 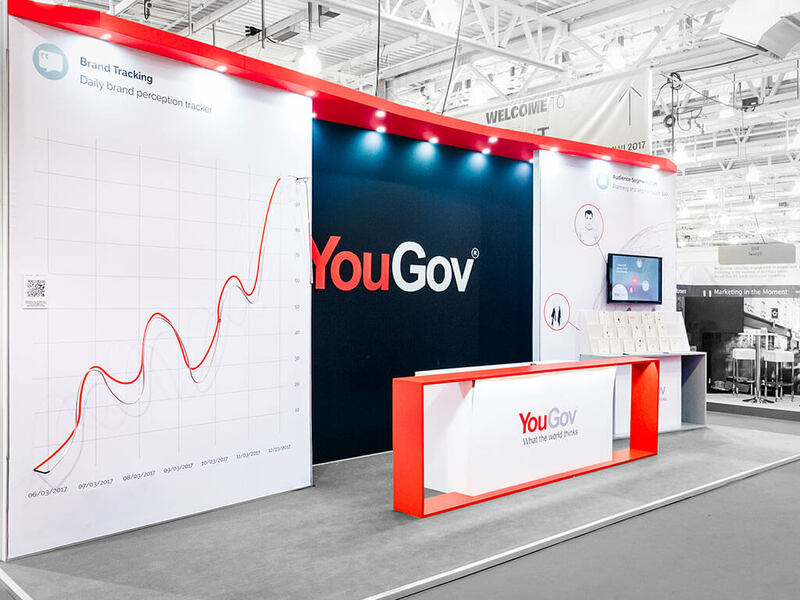 Further to the ‘phygital’ engagement we created to meet YouGov’s brief, we designed stand features to help the stand team facilitate more conversations with visitors. To initially encourage visitors onto the stand we designed and built a bespoke welcome desk, containing two chiller units, from which cold refreshments could be served. A huge wire buzzer game in the style of a statistical graph was also built created to test hand-eye coordination, entertain visitors and increase dwell time on stand. 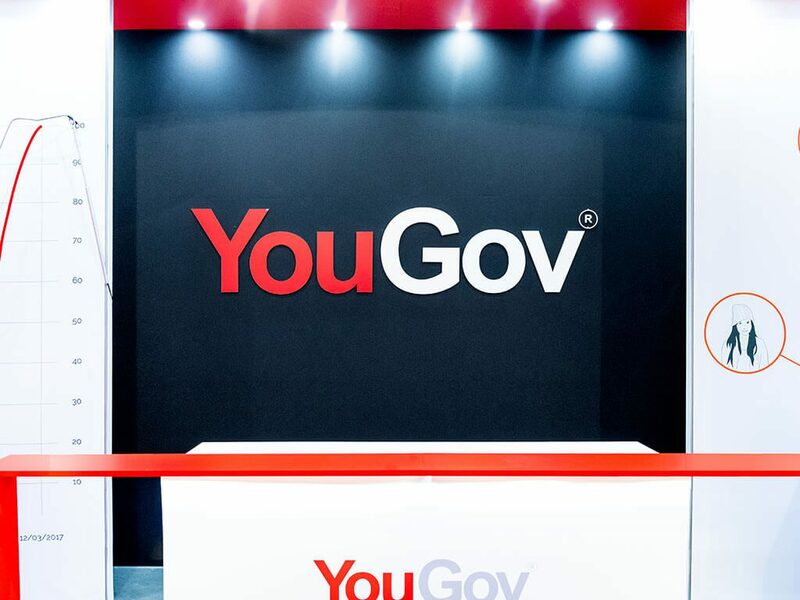 YouGov raised product awareness of their profiling solution with over 100 game plays from visitors. The fun and engaging nature of the game helped the team on stand facilitate memorable conversations regarding the company’s more unknown services.